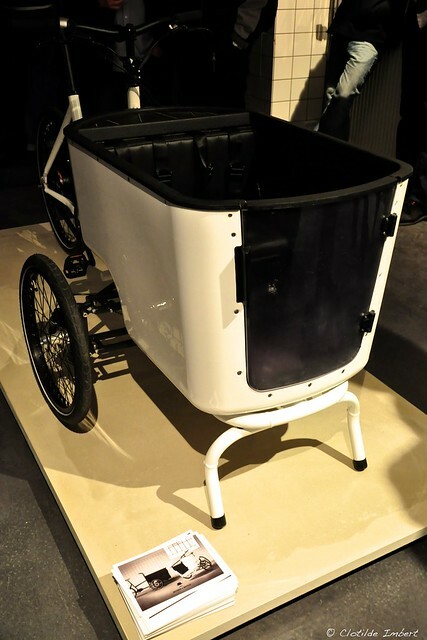 It has black and white graphic lines, a cool vintage style logo, but most of all this bicycle hopes to provide you with a new way to ride a cargo bike. The brainchild of the newly launched company Butchers and Bicycles - located in the heard of Copenhagen's meatpacking district - the Mk1 aspires to change the game of riding a three-wheeler. They launched with bravado in their funky showroom and their promotional film did the rounds of the social media. Many people pointed out that there were no groceries or children in the box of the bike in the film. A good point, actually. 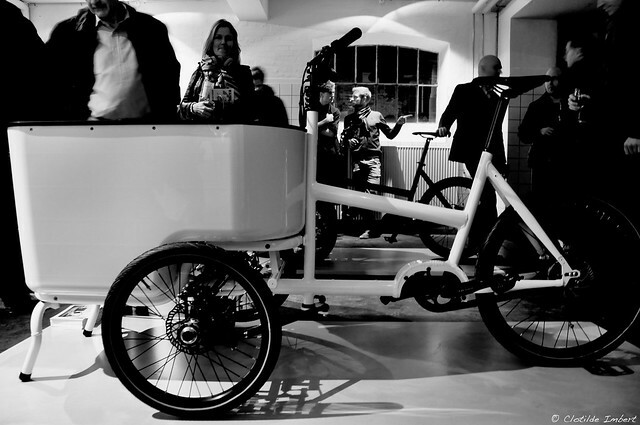 Riding the Mk1 gives you a very different sensation compared to the established brands of three-wheeler cargo bikes. It feels more like riding a two-wheeler. The bike is also very sporty. Selling itself in the film by showing you how you can corner better and faster. The box tilts with you into the bend. It appears that the bike is aimed at the male demographic and not shy about it. There is, however, a door at the front of the box, above parking supports so you don't need to lift the children inside. Although with 40,000 cargo bikes already in Copenhagen, that hasn't really been much of an issue. The bike is also nice and light compared to the established brands, which may be a unique selling point. 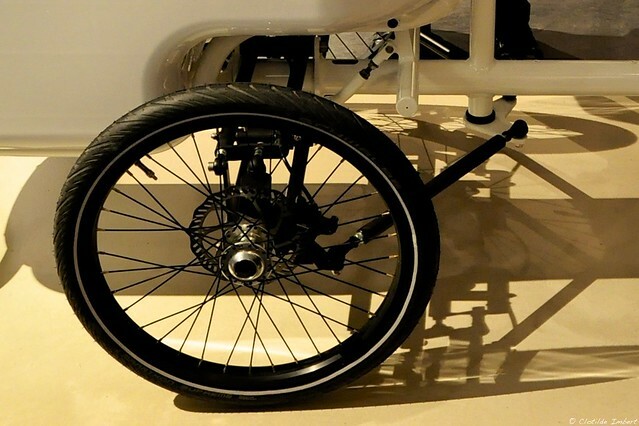 An optional electric assist motor can be mounted. Right there, we are sceptical. In a densely-populated city with an average speed of 16 km/h, we don't fancy large, electric scooters zipping past doing 25 km/h. Design-wise, the lines are elegant, the details impressive and the Mk1 rolls boldly along in simple in black or white. No bad taste in that department. All in all, it's a shiny new cargo bike and it looks good. Whether or not it will be the gamechanger the designers hope it to be remains to be seen. We know that in Copenhagen it is usually the woman in the couple who decides upon the model of cargo bike when they are out shopping for one. Our guess is that they're going to get dragged along by the man to the showroom and then they'll end up buying a Nihola, Christiania Bike or a Triobike. 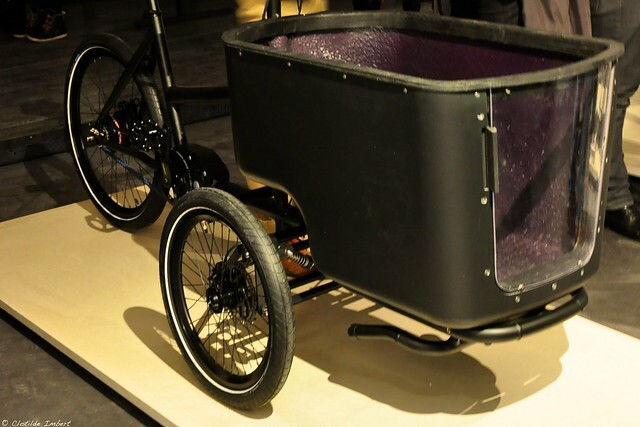 The Mk1 might appeal to small businesses who need a cargo bike for transporting small goods but if you're going to hammer home a success you need to win the hearts and minds of the young families. Having a price tag of almost €4000 for the normal version and around €5000 for the e-assist (almost double the price of the rest of the cargo bikes on the market) is not the way to do it. What also remains to be seen is how a trike with so more moving parts than normal holds up after a Danish winter and constant daily use. Let's see where this brand is after two or three years before we declare it a success. It is always good, however, to see innovation from people wanting to take things to a different level. Kudos for that.